Experts say words matter when speaking directly to people with diabetes. New guidance from two sources, Language Matters: Language and Diabetes (NHS, June 11, 2018) and the American Association of Diabetes Educators (AADE) and the American Diabetes Association (ADA) in The Use of Language in Diabetes Care and Education (October 17, 2017) recommend that healthcare providers should be attentive and respectful of words when discussing diabetes treatment and test results with patients in a way that encourages and motivates. The objective of each guidance is an effort to reduce any negativity in the language used by clinicians that might lead to unintentional bias or express negativity which can adversely affect the psychosocial well-being of the individual. According to an important paper from 2017, “For people with diabetes, language has an impact on motivation, behaviours, and outcomes”. The language of diabetes and the stigma associated with words like control, non-compliant and diabetic (used as both a noun and an adjective) don’t only apply to the healthcare setting; they are often heard or seen in the home, office and more traditional or social media platforms. In light of this global discussion, Diabetes Voice reached out to two individuals to express their views on the subject. Betsy Rodríguez, who lives with diabetes, is a nurse, diabetes educator, national and international speaker on diabetes-related topics, bicultural specialist in health communication strategies, and author. She presently serves as a Senior Public Health Advisor in the Translation Health Education and Evaluation Branch in the Division of Diabetes Translation (DDT) at the Centers for Disease Control and Prevention (CDC). 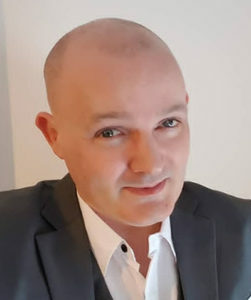 Paul Sandells was diagnosed with type 1 diabetes in 1984. He is a vlogger and lives in the United Kingdom. Each of our contributors represent perspectives that illuminate the impact of language in diabetes. Why does language matter when we talk about diabetes? Have you ever been on the wrong side of a conversation at a clinic or a hospital, where the language used to describe your condition sounded critical and made you feel judged and even, depersonalized? I live with diabetes and I have been called a diabetic patient many times! At some point, you start asking yourself, since when did my full identity become diabetic patient instead of a person who has diabetes or a person living with diabetes. There are many examples of this conundrum. Perhaps while searching online, you come across a website, talking about diabetic feet so now I am realizing that my feet are diabetic too! On the Internet, you are more likely to skip to the next website in your search results. However, in a clinic setting, you would likely: a) seek out another healthcare team or doctor or b) decide to stick with them and work to increase their awareness, helping them understand that when it comes to diabetes, language matters! Words are powerful weapons that healthcare teams can utilize to empower people living with diabetes or demotivate them. As a person with diabetes, I am not defined by my diagnosis. Language used in the community and in the healthcare system has been a battle that many people have been fighting for years. This is not only happening in the diabetes community; one example is the work of parents of children with Down syndrome and the Global Down Syndrome Foundation and their campaign Words Can Hurt. For people with Down syndrome and their families, the history of labels is not a pleasant one. People with Down syndrome were associated with words like idiot, moron, and imbecile by society and the medical profession. Today, these labels are considered politically incorrect, hurtful and dehumanizing. Every member of the healthcare team can serve people with diabetes more effectively through a respectful, inclusive, and person-centered approach. Stigma that has historically been attached to a diagnosis of diabetes can contribute to stress and feeling of shame and judgement. Person-first, strengths-based, empowering language can improve communication and enhance motivation, health and well-being of people with diabetes. As a person living with diabetes for more than 30 years, I can say that living with diabetes can be overwhelming at times. Like all chronic diseases, it affects every aspect of our daily routine. Diabetes management is not as simple as just taking a pill. It requires timing of meals, checking blood sugar and being vigilant about exercise, all in accordance with a personalized management plan developed in consultation with healthcare professionals. The time has come to reflect on the language of diabetes and share insights with others. Messages of strength and hope will signify progress toward the goals of eradicating stigma and considering people first (Jane K. Dickinson, 2017). 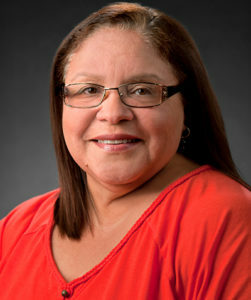 Betsy Rodríguez, RN, MSN, DE is a nurse, diabetes educator, national and international speaker on diabetes-related topics, bicultural specialist in health communication strategies, and author, presently serves as a Senior Public Health Advisor in the Translation Health Education and Evaluation Branch in the Division of Diabetes Translation (DDT) at the Centers for Disease Control and Prevention (CDC). At CDC, Mrs. Rodriguez provides technical assistance and support to state grantees, national diabetes-related professional organizations, such as the American Diabetes Association (ADA) and the American Association of Diabetes Educators (AADE), as well as community-based organizations. At the international level, Mrs. Rodriguez provides technical assistance and support to the International Diabetes Federation, IDF SACA Region and is a member of the IDF Blue Circle Voices of Diabetes. While I support Language Matters and recognise that it is a force for the good, on the whole, it doesn’t really matter to somebody like me, a seasoned diabetic. How I choose to refer to my condition and my management of it is my own business. I’ve had type 1 diabetes (T1D) for almost 34 years. I’ve always considered myself to be a diabetic. It says so on my social media profiles and on the tattoo on my arm. I’m not offended by the word “diabetic”. I understand it doesn’t define me but it is a significant part of my life. I believe the language used in a clinic environment is more significant but not to a very strict level. I want to know my HbA1c isn’t good enough and if my healthcare professional (HCP) describes it as “poor” or “too high” then that is fine with me. I can take that information away and work on it, rather than sulk because I got a bad mark in class. I want my clinic team to be pro-active in helping me and others with diabetes, rather than walking on egg shells because of the terminology they might use. Language matters to a point but my health matters far more than the words you use. There is a fine line between offering constructive encouragement, even criticism and being downright offensive, though. I never want to be told that I’m a “bad diabetic” or even a “bad person with diabetes”. The latter actually sounds worse than the former to me! Neither do I want to be referred to as “non-compliant”. Those terms, amongst others, are very offensive when used by a HCP. In fact, unless used jokingly between friends, they are offensive if used by anybody. I realise that we are all different. We all have our line in the sand when it comes to what offends us and what doesn’t. Being offended and possibly extremely upset, following a clinic appointment, can never be a good thing when it comes to long term management of our diabetes. We all respond differently to how a HCP approaches us, their body language, how they engage and how interested they are in our condition. 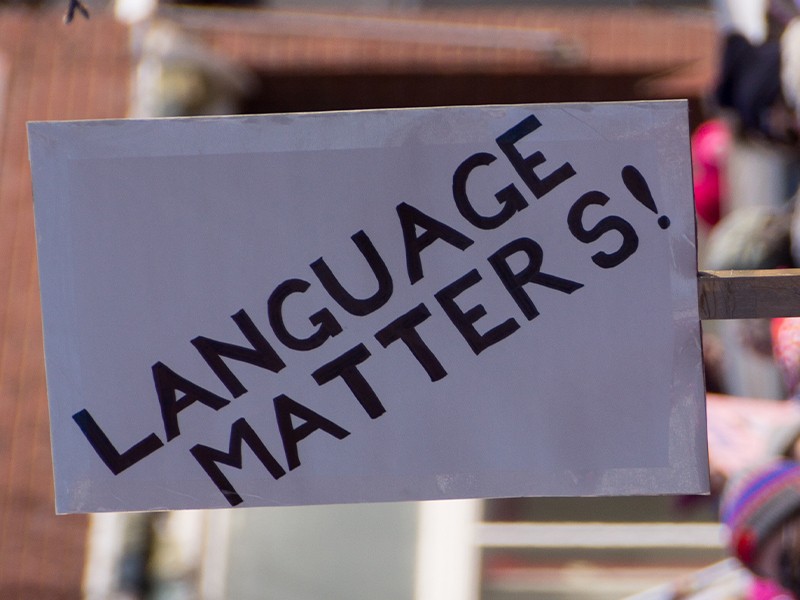 If language does matter, then so do all those things. I am much more likely to be upset or offended if my HCP doesn’t look at me when I’m talking, isn’t open to my questions and doesn’t show a genuine interest in my care. I believe the vast majority do those things. I don’t want to be judged on my condition negatively because I live with T1D, my T1D, every single day. I’m not the same as the patient you saw earlier, with an HbA1c of 6%. Don’t compare me to that person or any other diabetic. Comparison to “perfect” diabetics is what offends me far more than being labelled a diabetic and, to me, that’s what HCPs should be focusing on during appointments rather than worrying about how to tell me that my HbA1c for the last 90 days is terrible. 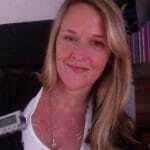 Work with me to manage my diabetes in the best possible way, based upon how I live and I’ll be a happy patient. Language matters to a point but my health matters far more than the words you use.